The Tamil Nadu born kid who bought his first smartphone in 2004 went on to become one of the biggest leaders in the world— The CEO of Google. Born in Madurai, the 46-year old is one of the “busiest men alive”, tagged by Forbes last year beside naming him in the Top-20 most influential men in the world. However, what’s interesting for a fact that you don’t know about Sundar Pichai is that he avidly loves Soccer… err… Football. Yes. It’s also informed to team Jersey upon further bean spilling that on the 2016 Pre-Pre-Season tour to the US, the entire Barcelona squad visited Google HQ in California and the key members of the club, including President Josep Bartomeu, coach Luis Enrique, Captain Andres Iniesta and superstar Lionel Messi even had a private luncheon with Sundar Pichai and others. 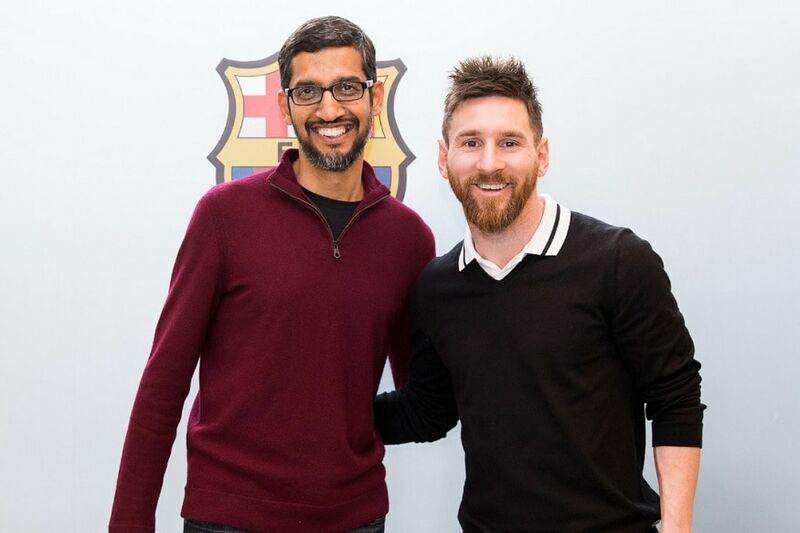 On 7th March 2017, Sundar Pichai enjoyed his fanboy moment at Camp Nou as he met his idol Lionel Messi. During the meet Pichai mentioned that his favourite goals by Messi were against Bayern Munich in the Champions League 2 years ago. Sundar Pichai also visited the FC Barcelona ground, dressing rooms. 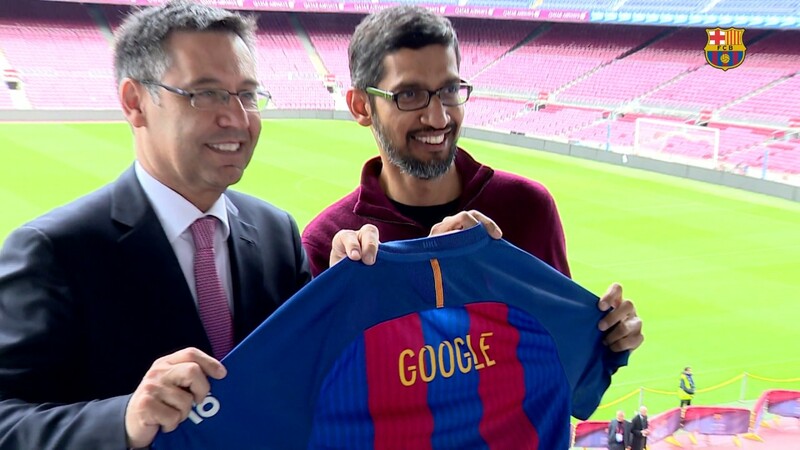 On his visit there, the Google CEO was shown around by Josep Maria Bartomeu. He even got an FC Barcelona team jersey for ‘Google’ towards the end of the visit. While leaving, he reportedly told Bartomeu that he would visit again and to keep Messi in the team. Apart from the MWC 2017, the Google CEO took a visit to the La Masia.